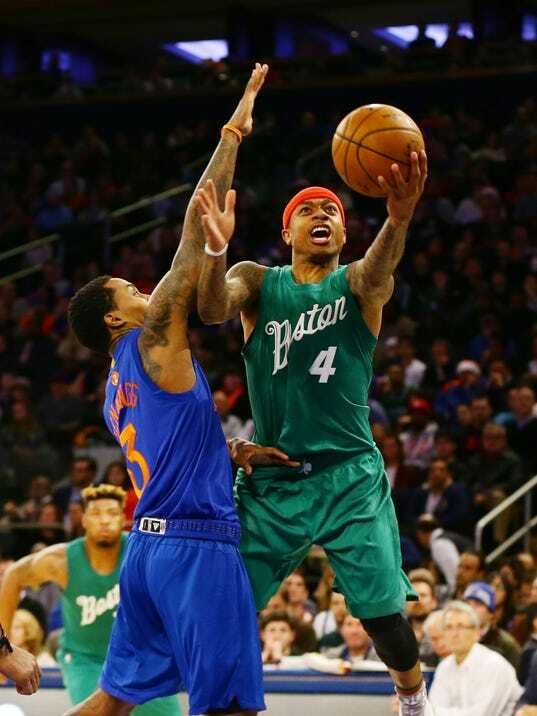 NEW YORK (AP) — Isaiah Thomas scored 27 points, Marcus Smart made a tiebreaking 3-pointer with 47 seconds left after Boston blew a late lead, and the Celtics beat the New York Knicks 119-114 on Sunday. The Knicks led for much of the first half before Crowder made three straight 3-pointers as Boston surged into the lead en route to a 56-48 halftime advantage. The Celtics rarely built the lead much bigger in the second half, but also never let the Knicks make much of a dent in it, always coming up with some stops and points whenever it got within a couple of possessions.